Effectively transitioning in volleyball from defense to offense will often be the difference between winning and losing. The object of defense is to pass the ball to the setter in such a way that the team can run a good offensive attack. It's important to understand the goal is to attack. Anytime your team has the ball on it's side of the net, your team is considered to be on offense. Switching from defense to offense and vice versa is known as transitioning in volleyball. For defenders, this may mean moving from a base position to a position where the ball can be dug and passed to the setter to start the offense. The best teams are typically really good at transitioning from defensive positions to offensive positions. The better you understand your teammates roles, the easier it will be transitioning from defense to offense. For example, it's important to know what your setter must do on defense and offense. A setter that runs a 5-1 offense will sometimes be blocking at the net while the opponent is attacking. If the setter is blocking, the team needs to understand the passes will need to be different in this situation. The setter must first land and then turn to set a teammates pass. 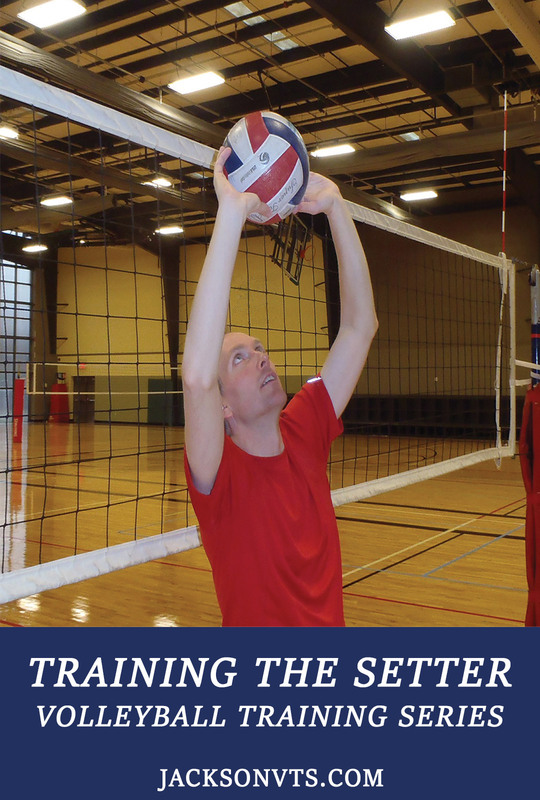 Therefore, the passes typically need to be higher so the setter has more time to get in position to set. If the setter is in the back row on defense, the digs need to be higher than if the setter was standing at the net waiting for the ball to be passed. The setter also needs to be aware of what their front row teammates are doing on defense and where teammates need to be on offense. For example, a middle blocker that jumps to block an attack will need to land from the block, transition off the net and approach to hit. The setter needs be aware of the situation where the middle blocker needs more time. The defenders also need to be aware of this. If the players aren't aware, this can really mess up the teams offense. Obviously the goal for offense is to attack the ball. The better the attack, the better the chance of winning the point. The best attacks are hard spikes by the front row players. The setter attacking the 2nd ball can be effective. In order to be in a position of making a good attack, the team needs to make a good pass. Transitioning is different than serve receive. The transition game is unique in that a team must quickly go from defense to offense. Players must make defensive plays then come back and run an effective attack. Running a play off a dig is much different than running a play from a serve receive formation. Since the ball is being passed off a serve is much different than the transition game, drills in practice should focus on team defense digging an attack (dig -> set -> hit). Keeping the practice drills game-like is key. The more game-like the transition drill, the more the skill will transfer to a real game. Is your team good at transitioning in volleyball? If your team is constantly sending a free ball back over the net, then your team needs to work on your transition offense. Your team needs to understand that every ball that the team sends back over can be attacked. Even when passing or setting a ball over the net. The point is that you always have an opportunity to make it difficult for your opponent to run an effective offense. The setter should develop skills for attacking the 2nd ball. The more a team can mix in different types of attacks, the harder it will be for the opponent to prepare to play defense. When a setter attacks, have her set it to a deep corner. Zone 1 is usually a good spot because the opposing setter will usually transition from this area. Front row attacker should practice spiking the ball when it's set off the net. Run drills where the outside attacker must spike from 5 to 8 feet off the net. This will train them to be more comfortable for when this situation happens in a real game. Your team will likely not make perfect passes all the time. The outside hitter is usually the outlet, so be sure to have them practice attacking out of system sets. Back row attackers should practice spiking from the back court. It can be valuable for your team to have an option for setting back row players. Especially if your team is struggling passing. Have the back row attackers focus on spiking the ball to the deep corners. Deep corner attacks are usually the hardest ball to defend. On free balls, have your passers pass the ball low and fast. Work on running a faster offense for situations where your team can speed up the game and maybe catch your opponent off-guard on defense.